BENGALURU: Japanese internet and telecom giant SoftBank’s Vision Fund is investing $400 million in baby and mothercare product retailer FirstCry, according to regulatory documents. Of this, around $150 million has already been infused into the company. The resolution for the same was passed on January 18, regulatory documents show. After this investment, the company is estimated to be valued at around $850 million according to initial calculations by business intelligence platform Paper.vc. When contacted, FirstCry co-founder Supam Maheshwari declined to comment on the development. People aware of the company’s plans said it would use the new capital to expand its online and offline presence as well as to strengthen its technology platform. At the end of 2018, FirstCry had 330-350 offline stores. The company, one of the largest in its space, sells just about everything a child and a new mother needs – apparel, footwear, toys, books, feeding &amp; nursing products, soaps, oils, powders, baby monitors, strollers and baby bedding. In 2016, it bought Mahindra group‘s babycare business BabyOye for over Rs 360 crore in a mixed cash-and-equity transaction. Hopscotch, The Moms Co and TinyStep are some of the other companies operating in the space. Started in 2010, the company is said to have one of the largest parent communities in the country. “They are looking to leverage that community in a big way this year. There will be lot of content that will be created to target this base of parents,” a person aware of the plans said. Prior to this investment, the company had raised about $125 million from multiple investors. Chiratae Ventures (formerly known as IDG Ventures India), SAIF Partners and Vertex Ventures are some of the existing investors. 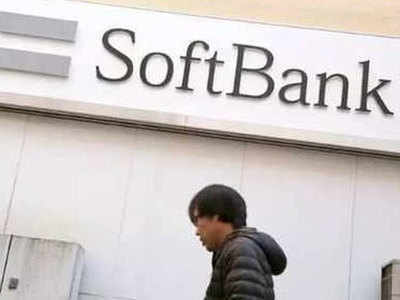 For SoftBank, the investment comes at a time when it is seeking Competition Commission of India (CCI) approval for an investment in logistics player Delhivery. Last year, it invested $1 billion in Gurugram-based hotel brand Oyo. The investments are being made from its mammoth $100-billion investment fund.